No more top-ups! No need to carry separate fare card! 1. 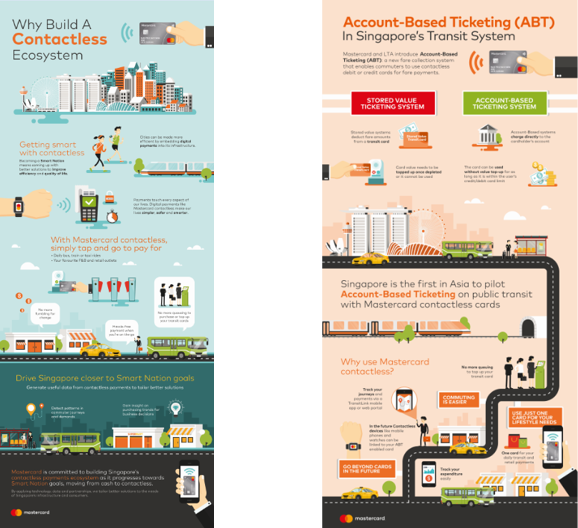 The Land Transport Authority (LTA) and Mastercard are jointly launching a pilot of the Account-Based Ticketing (ABT) System for public transport, by allowing the usage of contactless credit cards and contactless debit cards for fare payments. Singapore will be the first in Asia, and one of the few cities in the world, to enable this. 2. The pilot will be launched on 20 March 2017, and will be applicable for all public bus and train rides. 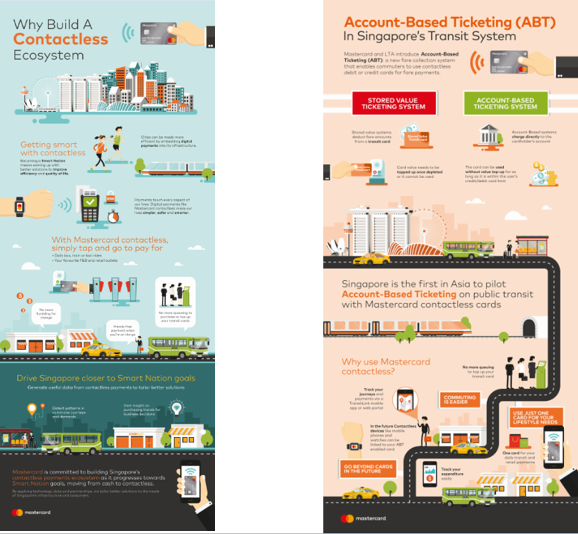 Commuters holding Singapore-issued Mastercard contactless credit or debit cards can register their interest on the TransitLink ABT Portal, if they have not been pre- registered by their In all, LTA and Mastercard hope to attract at least 100,000 commuters to participate in the pilot. 3.Cardholders who are accepted onto the pilot will be able to enjoy a “tap and go” fare payment experience by simply tapping their Mastercard contactless credit or debit card on the bus or MRT fare readers1. They will no longer go through the hassle of having to carry and constantly top up a separate fare card, and instead will be conveniently charged for their public transport rides in their credit or debit card Through the TransitLink ABT Portal or Mobile Services app, they will be able to track their journey and fare payment history. 4. LTA’s partnership with Mastercard goes towards furthering Smart Mobility efforts, one of the key pillars of Singapore’s Smart Nation vision. 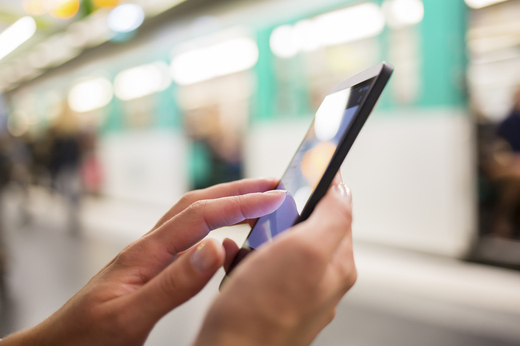 It is another step forward in the journey to tap on digital payment technology to enhance commuters’ mobility experience. For LTA, it follows an earlier initiative to enable Account-Based payment of ERP charges, where motorists are able to pay for their ERP charges using their credit/debit cards or via their bank account without a need for a physical stored-value card. The Land Transport Authority (LTA) is a statutory board under the Ministry of Transport. LTA plans the long-term transport needs of and spearheads land transport developments in Singapore. While serving commuters by providing an integrated and user-friendly transport system, LTA addresses wider issues such as sustainable development, economic growth, and community life. LTA looks forward to working with leading companies to develop innovative transport solutions, and making Singapore’s transport system more convenient, more seamless, and more people-centered. 1 Cardholders accepted onto the pilot may visit the TransitLink ABT Portal at www.transitlink.com.sg/introABT for more details.